In the current melee of medical rights versus government mandates, vaxtremists often exclaim in disgust, “Eh, just go get a medical exemption if your child is so sick!” As a vaccine safety advocate who wants to retain the right to medical choice, I decided to research the parameters of medical contraindications to vaccination. Medical exemptions are based on these contraindications. Quite the dark, unpleasant rabbit hole indeed. While the states that carry medical exemptions differ in their requirements for physician submission — some accept blanket letters for example, others require forms (1) — they all contain similar language: the physician must determine that a vaccine is contraindicated. Immunization recommendations are determined primarily by the ACIP (Advisory Committee on Immunization Practices), and these are then published in the CDC’s publication, the Morbidity and Mortality Weekly Report. A contraindication is a condition that increases the risk for a serious adverse reaction. A vaccine will NOT be administered when a contraindication is present. A precaution is a condition in a recipient that might increase the risk for a serious adverse reaction or that might compromise the ability of the vaccine to produce immunity. 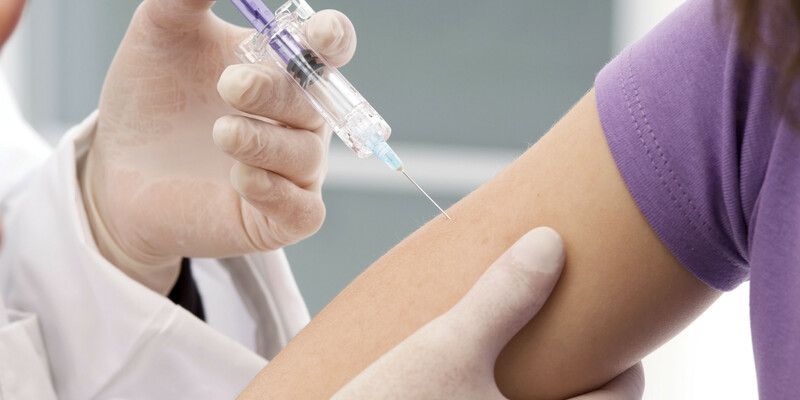 Under normal conditions, vaccinations should be deferred when a precaution is present. Medical exemptions are based on contraindications, not precautions. A precaution is essentially a delay in vaccination until the individual is medically stable. Lets talk about what they consider to be a precaution. Remember, with a precaution, once stable, the recipient can be vaccinated. There is, again, but one precaution listed for every vaccine, and that was moderate or severe acute illness. Here is a sampling of some of the conditions considered to be mere precautions, notice some that were induced by the previous dose of the vaccine. Clearly, these tables are shocking. And quite frankly, any sort of critical thinking has been taken right out of the hands of the doctor. This is obviously how ‘paraprofessionals’ like pharmacists have been encouraged to act as vaccinators; it requires no thinking at all. And of course, as for doctors, there is no culpability if the recipient is harmed. A paraprofessional can just follow the schedule because it is highly unlikely that he will be seeing a person with a true contraindication. And if he is, it won’t matter since there is no liability for vaccine injury. I wanted to point out one more tidbit I learned in my research regarding adverse events following vaccination. Clearly, contraindications for vaccination are partly determined by adverse event. I find it strange that autism was once listed as an adverse event, but now it is not. I have not seen leukemia listed as an adverse event, though just by its association with the immune system, one would think enough incidences would be reported to show up. Read the following statement regarding adverse event reporting carefully. “Manufacturers are required to report all adverse events that occur after vaccination to VAERS, whereas health-care providers are required to report events that appear in the reportable events table on the VAERS website at (3).” Yes, go take a look at that table. It won’t take long, its very, very short. In other words, physicians are given a set of mandatory reportable events. If that event is not on the table, then it may not be reported. And that, my friends, is a really effective way to take autism (and leukemia, and diabetes and lupus . . . ) right off the list of adverse events by vaccination. The conclusion, then, begs the question, if there is almost no illness or disease that is is contraindicated for vaccination, what does this mean for a medical exemption? It becomes nearly impossible to attain, if the state so chooses to actually enforce the true contraindications for each vaccine individually. And during a hearing in Oregon recently, politicians warned they would be cracking down on doctors regarding following true contraindications. Fight. Fight hard for your rights to maintain current exemption laws. Even with attempts to expand medical exemptions, your kids are not likely to be sick enough to escape further harm. Be the first to comment on "Know your rights re vaccines"